Let’s be real for a minute. 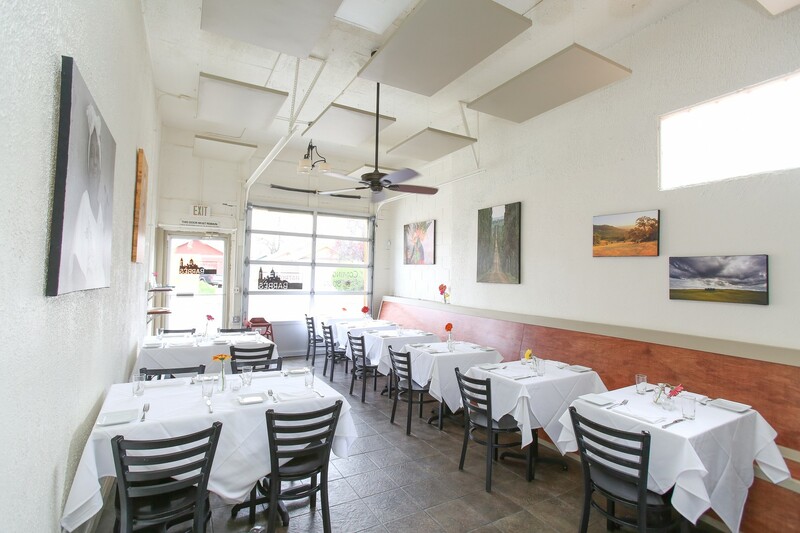 When’s the last time you went to Park Hill for dinner (or anything)? If you’re feeling shy, we’ll go first—Tables circa 2007. Unless you live in the area, your answer may be never. And guess what, it’s not your fault. There just aren’t many options in these parts. Sure, wine bars and bakeries pop up on certain blocks, but they’re nothing you couldn’t find in your own hood. Well, let’s end all the Park Hill abstinence right now because Bistro Barbes is well worth your time and money. It’s an elegant, tiny space - around 20 seats - that’s upscale without being stuffy. So get cozy and crush on the amazing lamb merguez and escargot agnolotti. Service is friendly and intelligent and the dinner menu is nicely curated. With around three choices for each course, there is no risk of paralysis through analysis. The wine list is similarly pared down, but you won’t lack good choices. Bistro Barbes touts itself as being grounded in French technique with flavors from North Africa, Spain, and the Mediterranean. The first claim is true, but the latter is questionable. Don’t get us wrong, we’re all in, but if the North African and Spanish flavors were turned up even 25 percent, we’d be even higher on this place. Until then, we’ll just have to settle for damn good instead of groundbreaking. You’ve got some real champagne problems these days, Park Hill. We’re not big snail people, but this dish is easy on newbies and escargot-agnostics alike. Here, the snail is part of the pasta filling and tastes like a super earthy mushroom. The overall effect is buttery, delicious, and quite satisfying. A nice, little potato salad that’s very restrained on the spice tip, especially given the name. The flavors here, and menu-wide, are predominantly French, but we’d love more North African influence in the ingredients and spices. No complaints whatsoever. BIG, well seared scallops with julienned apple on top for texture and flavor. We can dig it. A certifiable star that you should order whenever available. The combo of tender duck confit, silky cannellini beans, and amazing lamb merguez is like a party in your mouth and everyone’s coming. Very solid. The not-too-sweet pistachio ice cream pairs perfectly with the orange blossom syrup. Served ice cream sandwich style, the baklava was a bit dry from being frozen with the ice cream. If the baklava and ice cream were just served side-by-side you’re looking at near perfection. A South Broadway staple for burgers, brunch, and booze. Jelly's DU Location may not be the best brunch spot in Denver, but maybe it doesn't need to be. Believe the hype. Frasca is worth your time and money. All of your money, actually.